Lock in a great price for Hotel Rovira – rated 8.3 by recent guests! Great value for money. Close to the beach. Great overall experience. Staff helped me with all inquiries we had during the stay. Comfortable and very clean room. Staff as always friendly and helpful. Breakfast very good. Excellent location on sea front. Rooms are side facing with balcony which had table and chairs to sit outside. Nice continental breakfast in the morning with bread and pastries, cheese, hams and cereals. Hotel staff friendly and speak English. On bus route to Salou, Tarragona and Barcelona. Cheap fares. The Hotel Rovira was just perfect for our four day break...lovely atmosphere from the moment we arrived to the last day. Would definitely recommend it to my family and friends. The staff we so friendly and we felt very welcome. Hotel Rovira This rating is a reflection of how the property compares to the industry standard when it comes to price, facilities and services available. It's based on a self-evaluation by the property. Use this rating to help choose your stay! This family-run hotel is next to Regueral Beach, in Cambrils. It offers a small outdoor pool and free Wi-Fi. 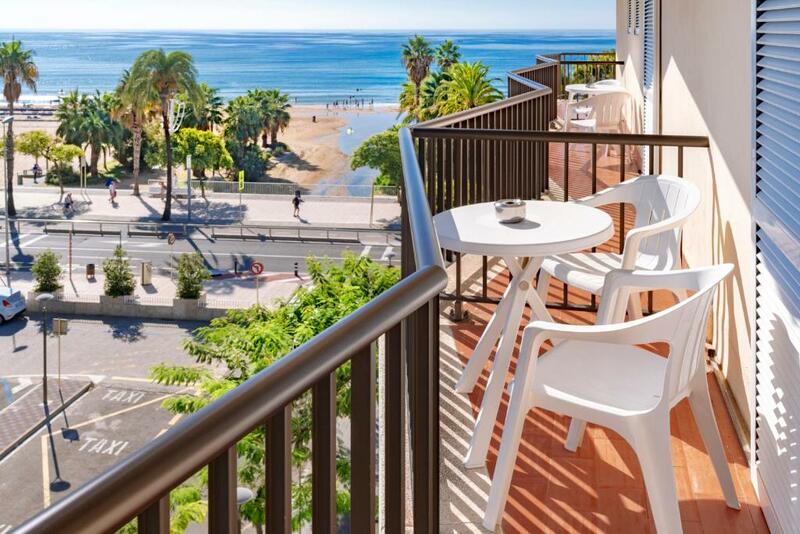 Most of the rooms have a balcony with sea views. 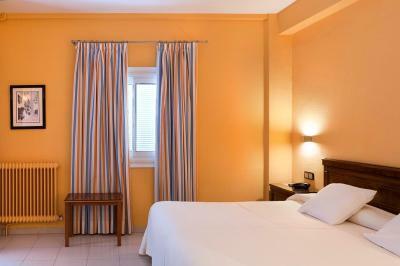 Hotel Rovira’s soundproofed rooms have bright, modern décor and air conditioning. 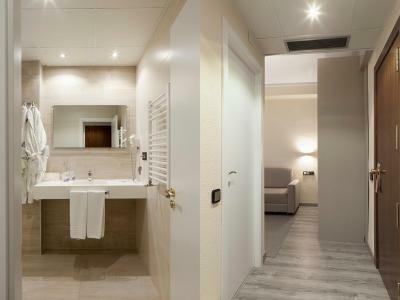 They all include a TV, while bathrooms come with toiletries and a hairdryer. Connected rooms are available upon request. 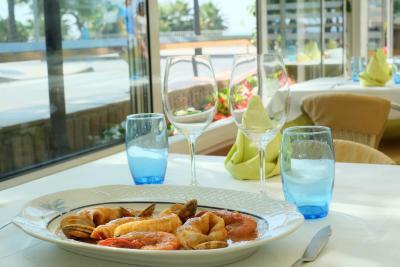 The Rovira restaurant is well-known in the region, and specializes in Mediterranean fish and seafood dishes. The hotel also serves a varied buffet breakfast. The bar has a nice covered terrace. Rovira is located just 300 feet from Cambrils Marina. PortAventura Theme Park is a 15-minute drive away, and Reus Airport is 11 miles away. When would you like to stay at Hotel Rovira? 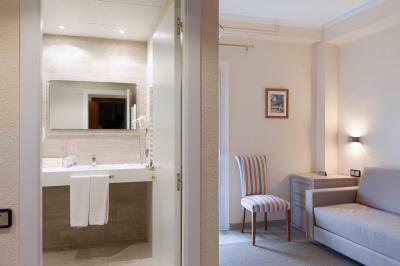 This suite features a bathrobe, electric kettle and cable TV. House Rules Hotel Rovira takes special requests – add in the next step! Hotel Rovira accepts these cards and reserves the right to temporarily hold an amount prior to arrival. The reading lighting needs to be better. I cannot find anything to complain about. The bathroom was tiny. You had a step up into bathroom then into the shower cubicle to enable the door to close behind you. The bathroom took some negotiation with the door and such but it was fine overall. The location was perfect for beach access. Better quality bedside light needed - not strong enough to read with. No socket near bed for charging phone had to unplug TV or use socket in bathroom - annoying Would recommend changing colour scheme in room but thats just me others may like it.